US President Donald Trump and Israel’s Prime Minister Benjamin Netanyahu wasted no time in griping about their common enemy when they met on the tarmac of Tel Aviv’s Ben Gurion Airport – the ‘fake news’ media. 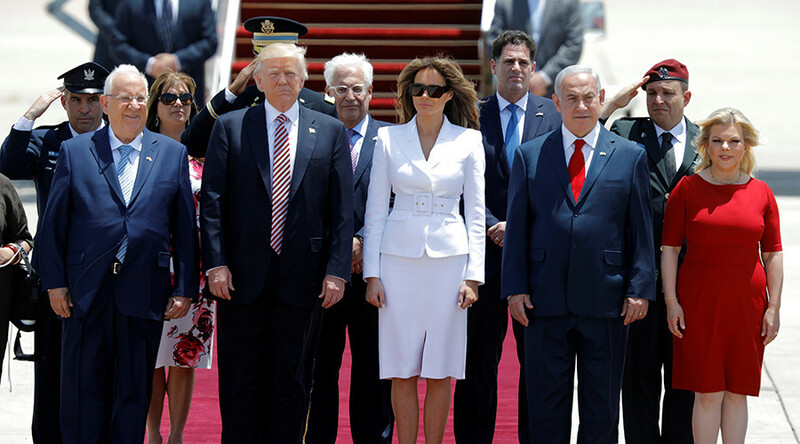 Donald and Melania Trump were greeted by Netanyahu and his wife Sara upon their arrival in the city Monday. The ‘first couples’ huddled together as Mrs Netanyahu reportedly claimed that, “like the Trumps”, they are loved by the people but not the media. The couples are dining together this evening at the King David Hotel in Jerusalem. In January, Netanyahu accused the Israeli media of trying to oust him from office after reporting details of corruption allegations.